Women are traveling in increasing numbers to Illinois to get abortions, in what may be a reaction to a number of Midwestern states passing pro-life measures. The total number of statewide abortions, as well as the number of abortions performed in Illinois on out-of-state-women, increased between 2016 and 2017, according to the Chicago Tribune. Women had 38,382 abortions in 2016 compared to 39,329 abortions in 2017, the Tribune reported. The number of out-of-state abortions increased by nearly 1,000 between 2016 and 2017, rising from 4,543 abortions to 5,528, according to the Tribune. Indiana, Michigan, Wisconsin, Iowa and Missouri surround Illinois and have passed numerous pro-life measures, perhaps compelling women to travel to Illinois to access abortions. Midwest Access Coalition “helps women traveling to, from, and within the Midwest access a safe, legal abortion,” according to its Twitter handle. Iowa passed a bill in May banning abortion in the presence of an unborn baby’s heartbeat, which is usually detected around six weeks. The law was prevented from taking effect, however, after a judge put a temporary injunction in place in June. Iowa bans abortions after 20 weeks. 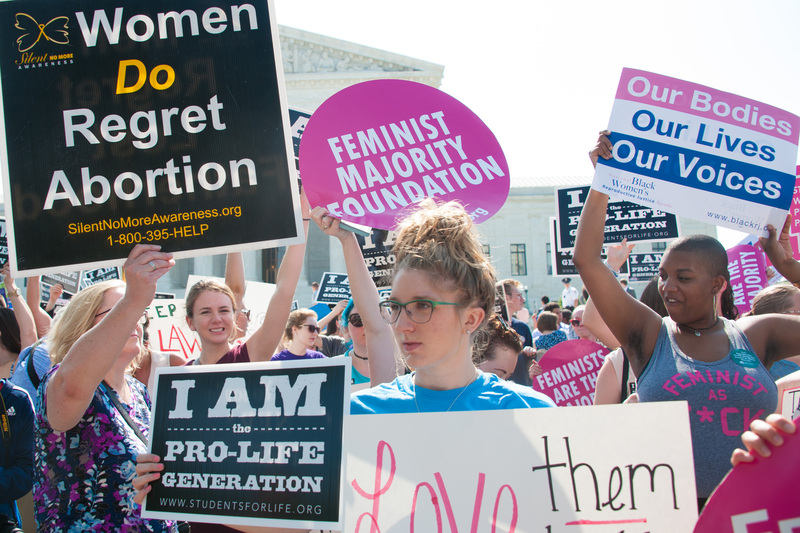 Michigan, Mississippi and Wisconsin have laws banning abortion that would become effective if Roe v. Wade is overturned, according to the Guttmacher Institute. Indiana law requires women to get an ultrasound at least 18 hours before they have an abortion, but that law is currently blocked by an injunction. Indiana also bans abortions after 20 weeks. “When access to abortion is politically restricted, those who have the means to travel will do so, and those without means are left most vulnerable,” Planned Parenthood of the Heartland spokeswoman Becca Lee said, according to the Tribune. The number of U.S. abortions has hit a historic low, according to the latest numbers from Centers for Disease Control and Prevention released Nov. 21. “I think women are simply choosing not to terminate,” Iowa Right to Life Executive Director Caitlyn Dixson said, the Tribune reported.